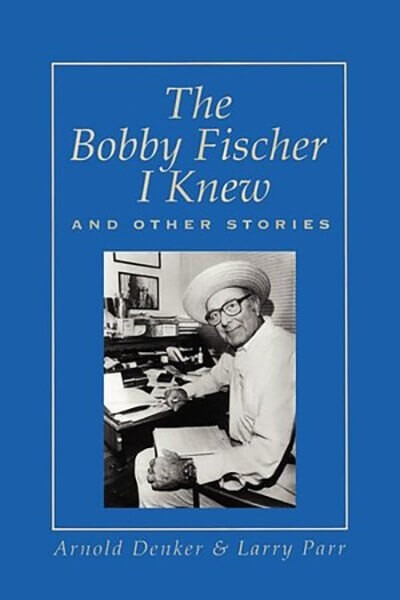 The Bobby Fischer I knew and other stories is hailed as an instant classic. This Damon-Runyan like work will be around well into the 21st Century. To inform future generations about such greats as Bobby Fischer and World Champion Garry Kasparov as well as the "Guys and Dolls" of the New York Chess scene during the fabled Golden Era of the 1930s and 1940s. In the introduction, five time U.S. Chess Champion writes that the authors capture "some of the most raucous and colorful figures in 20th century chess" with a "Dickensian precision". Yet there are plenty of hard facts in this book - over 300 games and positions many never before published, and which contain interesting opening ideas that have either been forgotten or neglected in the manuals. Grandmaster Arnold Denker was known as the e Grand Old Man of American Chess though you could never let this active 81-year-old hear you say that! In this memoir, GM Denker - who was U.S. Chess Champion from 1944 to 1946 - skillfully intertwines with his own life the stories of great chess men who he knew and loved. Denker, who is renowned as chess raconteur, was inducted into the U.S. Chess Hall of fame in 1993.